Every Thursday in February, we’re playing some of the most memorable Academy Award Best Picture winners of all time. 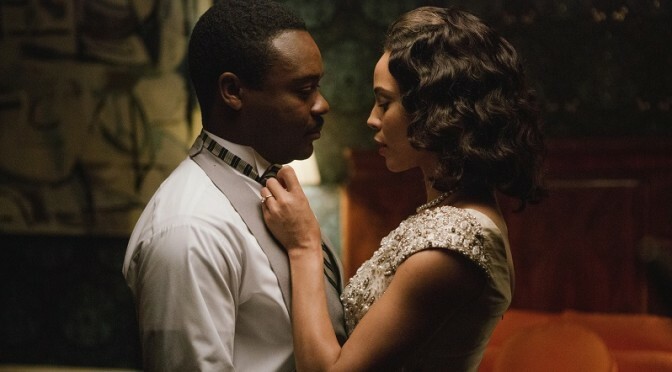 Don’t miss these Oscar Classic back on the Big Screen! All movies start at 7:00PM / Tickets just $7 available online now at angelikafilmcenter.com. 2/5 – BRAVEHEART (1996 Best Picture winner) Mel Gibson’s richly detailed saga is a tale of fierce combat, tender love, and the will to risk it all for freedom. In an emotionally charged performance, Gibson stars as William Wallace, a bold Scotsman who uses the steel of his sword and the fire of his intellect to rally his countrymen to liberation from the English occupation of Scotland. Mel Gibson came into his own as a director with BRAVEHEART, winning Academy Awards for both Best Director and Best Picture. 2/12 – AN AMERICAN IN PARIS (1952 Best Picture winner) Gene Kelly and Leslie Caron sing and dance to the music of the Gershwins in this winner of 6 Academy Awards. When an ex-GI remains in Paris to pursue life as an artist, he is discovered by a wealthy patroness interested in more than his art. But Mulligan falls in love with a French shop girl who is engaged to his best friend. Highlights include Georges Guetary’s rendition of “Stairway to Paradise”; Oscar Levant’s fantasy of performing Gershwin’s “Concerto in F”; and the closing “American in Paris” ballet, in which Kelly and Caron dance before lavish backgrounds based on the works of famed French artists. 2/19 – THE GODFATHER (1973 Best Picture winner) One of the best American films ever made, Francis Ford Coppola’s multi-generational crime saga is a touchstone of cinema: one of the most widely imitated, quoted, and lampooned movies of all time. Marlon Brando and Al Pacino star as Vito Corleone, head of a Mafia family in 1940s New York, and his youngest son Michael. The stellar cast also includes Robert Duvall, Abe Vigoda, James Caan, Diane Keaton, and Talia Shire. ray ban france Adapted by Mario Puzo from his own acclaimed novel, THE GODFATHER was nominated for 11 Academy Awards and won for Best Picture, Best Actor (Marlon Brando), and Best Adapted Screenplay. 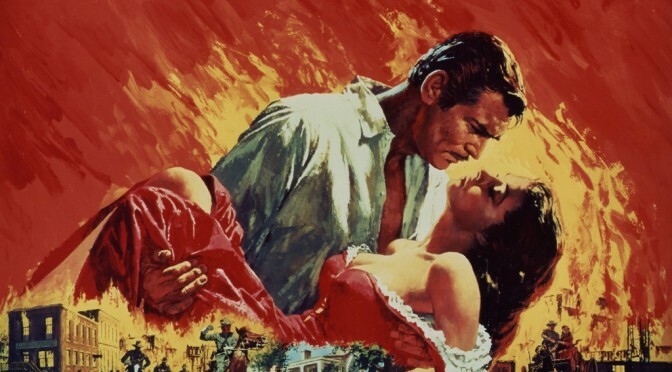 2/26 – GONE WITH THE WIND (1940 Best Picture winner) Revisit Margaret Mitchell’s epic American classic, winner of 10 Academy Awards! On the eve of the American Civil War, beautiful and self-centered Scarlett O’Hara has everything she could want – except the handsome Ashley Wilkes. As war devastates the South, Scarlet finds a tenacity that carries her through all obstacles while still in pursuit of the man that got away. Adidas Ultra Boost Homme Sparks fly as the wily Rhett Butler comes in and out of her life. adidas pure boost Only after Rhett walks out on her does Scarlett realize what she has lost. Starring Oscar winners Vivien Leigh, Clark Gable, Olivia de Havilland, Thomas Mitchell, and Oscar nominee Leslie Howard. BEST MOTION PICTURE OF THE YEAR Birdman BEST PERFORMANCE BY AN ACTOR IN A LEADING ROLE Eddie Redmayne – The Theory of Everything BEST PERFORMANCE BY AN ACTRESS IN A LEADING ROLE Julianne Moore – Still Alice BEST PERFORMANCE BY AN ACTOR IN A SUPPORTING ROLE J.K. nike free 5.0 Simmons – Whiplash BEST PERFORMANCE BY AN ACTRESS IN A SUPPORTING ROLE Patricia Arquette – Boyhood BEST FOREIGN LANGUAGE FILM OF THE YEAR Ida (Poland) BEST DOCUMENTARY FEATURE CitizenFour BEST ANIMATED FEATURE FILM OF THE YEAR Big Hero 6 ACHIEVEMENT IN DIRECTING Birdman – Alejandro G. mu2legendzen Iñárritu BEST ADAPTED SCREENPLAY The Imitation Game – Graham Moore BEST ORIGINAL SCREENPLAY Birdman – Alejandro G.
BIRDMAN, THE GRAND BUDAPEST HOTEL, THE IMITATION GAME, BOYHOOD, and AMERICAN SNIPER lead this year’s Academy Award nominations. BEST MOTION PICTURE OF THE YEAR American Sniper Birdman Boyhood The Grand Budapest Hotel The Imitation Game Selma The Theory of Everything Whiplash BEST PERFORMANCE BY AN ACTOR IN A LEADING ROLE Steve Carell – Foxcatcher Bradley Cooper – American Sniper Benedict Cumberbatch – The Imitation Game Michael Keaton – Birdman Eddie Redmayne – The Theory of Everything BEST PERFORMANCE BY AN ACTOR IN A SUPPORTING ROLE Robert Duvall – The Judge Ethan Hawke – Boyhood Edward Norton – Birdman Mark Ruffalo – Foxcatcher J.K. nike Simmons – Whiplash BEST PERFORMANCE BY AN ACTRESS IN A LEADING ROLE Marion Cotillard – Two Days, One Night Felicity Jones – The Theory of Everything Julianne Moore – Still Alice Rosamund Pike – Gone Girl Reese Witherspoon – Wild BEST PERFORMANCE BY AN ACTRESS IN A SUPPORTING ROLE Patricia Arquette – Boyhood Laura Dern – Wild Keira Knightley – The Imitation Game Emma Stone – Birdman Meryl Streep – Into the Woods BEST FOREIGN LANGUAGE FILM OF THE YEAR Ida (Poland) Leviathan (Russia) Tangerines (Estonia) Timbuktu (Mauritania) Wild Tales (Argentina) BEST DOCUMENTARY FEATURE CitizenFour Finding Vivian Maier Last Days in Vietnam The Salt of the Earth Virunga BEST ANIMATED FEATURE FILM OF THE YEAR Big Hero 6 The Boxtrolls How to Train Your Dragon 2 Song of the Sea The Tale of the Princess Kaguya ACHIEVEMENT IN DIRECTING Birdman – Alejandro G. Iñárritu Boyhood – Richard Linklater Foxcatcher – Bennett Miller The Grand Budapest Hotel – Wes Anderson The Imitation Game – Morten Tyldum BEST ADAPTED SCREENPLAY American Sniper – Jason Hall The Imitation Game – Graham Moore Inherent Vice – Paul Thomas Anderson The Theory of Everything – Anthony McCarten Whiplash – Damien Chazelle BEST ORIGINAL SCREENPLAY Birdman – Alejandro G. Iñárritu, Nicolás Giacobone, Alexander Dinelaris, Jr. & Armando Bo Boyhood – Richard Linklater Foxcatcher – E. adidas originals cheap Max Frye and Dan Futterman The Grand Budapest Hotel – Wes Anderson; story by Wes Anderson & Hugo Guinness Nightcrawler – Dan Gilroy BEST ANIMATED SHORT FILM The Bigger Picture The Dam Keeper Feast Me and My Moulton A Single Life BEST LIVE ACTION SHORT FILM Aya Boogaloo and Graham Butter Lamp (La Lampe Au Beurre De Yak) Parvaneh The Phone Call BEST DOCUMENTARY SHORT SUBJECT Crisis Hotline: Veterans Press 1 Joanna Our Curse The Reaper (La Parka) White Earth ACHIEVEMENT IN CINEMATOGRAPHY Birdman The Grand Budapest Ida Mr. Adidas Zx 750 Homme Turner Unbroken ACHIEVEMENT IN COSTUME DESIGN The Grand Budapest Hotel Inherent Vice Into the Woods Maleficent Mr. Turner ACHIEVEMENT IN FILM EDITING American Sniper Boyhood The Grand Budapest Hotel The Imitation Game Whiplash ACHIEVEMENT IN MAKEUP & HAIRSTYLING Foxcatcher The Grand Budapest Hotel Guardians of the Galaxy BEST ORIGINAL SCORE The Grand Budapest Hotel The Imitation Game Interstellar Mr. Turner The Theory of Everything BEST ORIGINAL SONG “Everything Is Awesome” – The Lego Movie “Glory” – Selma “Grateful” – Beyond the Lights “I’m Not Gonna Miss You” – Glen Campbell…I’ll Be Me “Lost Stars” – Begin Again ACHIEVEMENT IN PRODUCTION DESIGN The Grand Budapest Hotel The Imitation Game Interstellar Into the Woods Mr.
One of the most buzzed-about films of last year’s festival circuit, IT FOLLOWS is a terrifying new take on the teen horror genre. After a seemingly innocent sexual encounter leaves 19-year-old Jay plagued by nightmarish visions, she can’t shake the sensation that someone, or something, is following her. Jay must somehow escape the unknown horrors that are only a few steps behind. With a riveting performance from up-and-comer Maika Monroe (LABOR DAY) and a strikingly ominous electronic score by Disasterpeace, IT FOLLOWS is an exciting follow up to filmmaker David Robert Mitchell’s THE MYTH OF THE AMERICAN SLEEPOVER. Every great horror flick has a great soundtrack, and IT FOLLOWS is no different. The soundtrack from Disasterpeace is reminiscent of the music from the films of John Carpenter, with a modern twist. Sign up here for a chance to win a prize pack including an official IT FOLLOWS movie poster autographed by writer/director David Robert Mitchell and the original motion picture soundtrack by Disasterpeace. IT FOLLOWS is now playing at the Angelika New York. Adam Conway with the Angelika Blog sits down with Oscar winning Director Kevin Macdonald to talk about his new film BLACK SEA. Check out our exclusive interview for insight in the genesis of the film and the writing process, as well the phenomenal casting that includes Jude Law and Dallas native Scoot McNairy. 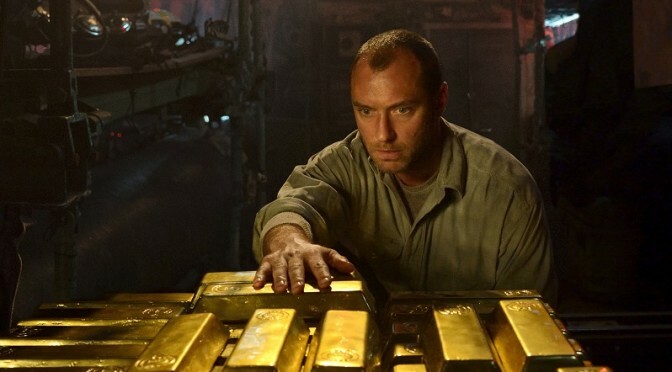 Academy Award nominee Jude Law captains the cast of BLACK SEA, a suspenseful adventure thriller directed by Oscar winning filmmaker Kevin Macdonald (THE LAST KING OF SCOTLAND). Also starring Scoot McNairy (ARGO) and Ben Mendelsohn (ANIMAL KINGDOM), the film centers on a rogue submarine captain who pulls together a misfit crew to go after a sunken treasure rumored to be lost in the depths of the Black Sea. As greed and desperation take control on board their claustrophobic vessel, the increasing uncertainty of the mission causes the men to turn on each other to fight for their own survival. BLACK SEA is now playing at the Angelika Dallas. 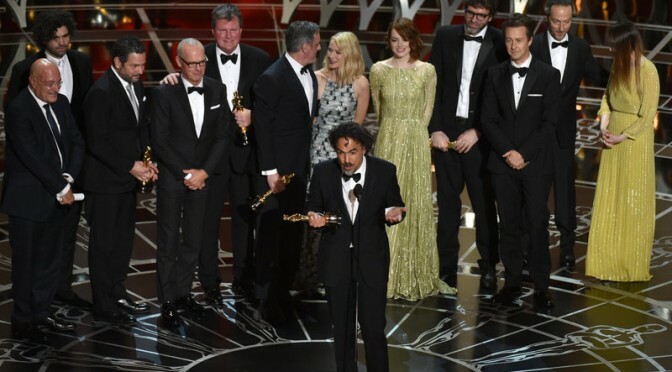 The Golden Globe Awards are this Sunday 1/11 and with the Oscar nominations set to be revealed Thursday 1/15, now is your chance to catch up on the nominated films you may have missed! 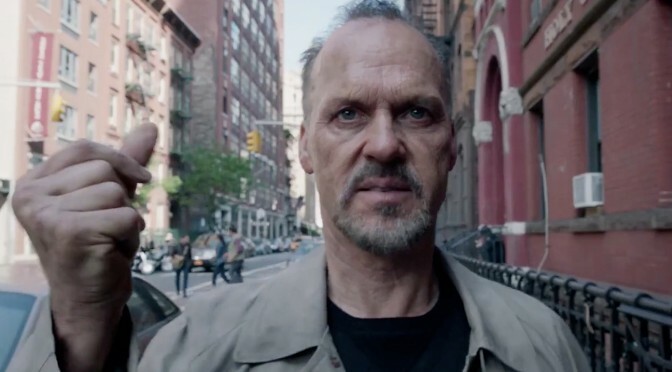 You can see several of the best films of the year — including Best Picture nominees BOYHOOD, FOXCATCHER, THE IMITATION GAME, SELMA, BIRDMAN, and INTO THE WOODS — right now at your local Angelika Film Center – visit angelikafilmcenter.com for current selections and showtimes at each location. What are your must-see films this weekend? Predictions for the Globes? Let us know in the comments! Sat 8/2 following the 3:20PM show – live Skype Q&A with James Franco, Adidas Neo with Scott Haze in attendance. The big, the bad, and the icky take over After Hours, our weekly late-night screening series at the Angelika Dallas and Mosaic: JURASSIC PARK (1990) – 5/2 & 5/3 Steven Spielberg’s JURASSIC PARK follows two dinosaur experts who are invited to a new amusement park full of living dinosaurs cloned from prehistoric insect DNA. new balance rose But as a tropical storm hits the island and an employee sabotages the system so that he can smuggle dinosaur embryos out of the park, the dinosaurs start to rage out of control. new balance 996 Starring Sam Neill, Laura Dern, Jeff Goldblum, Samuel L. Jackson, and Richard Attenborough, this state-of-the-art digitally remastered edition presents the world Spielberg envisioned in a way that was unimaginable during the film’s original 1993 release. 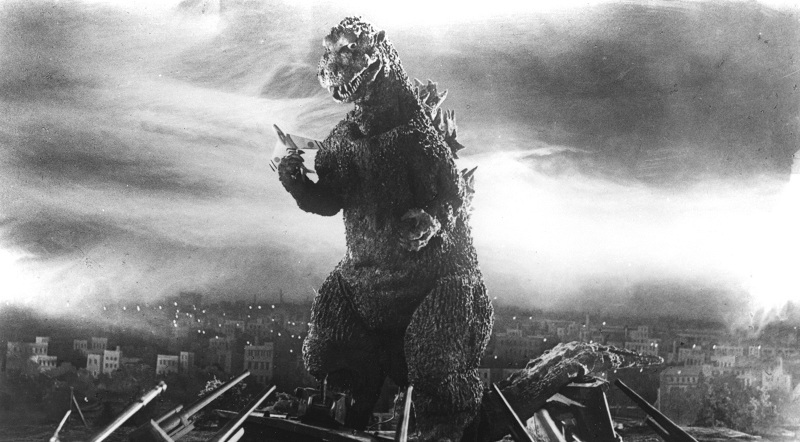 GODZILLA (1954) – 5/9 & 5/10 The monster classic that spawned six decades of sequels, imitations, and remakes, GODZILLA: THE JAPANESE ORIGINAL is presented in a new restoration for its 60th Anniversary. Ishiro Honda’s 1954 classic is a grim, black-and-white allegory for the devastation wrought on Japan by the atomic bomb. oakley batwolf icons blue A mutant dinosaur called Gojira is awakened from the depths of the sea as a rampaging nuclear nightmare, complete with glowing dorsal fins and fiery, radioactive breath. new balance 993 Crushing ships, villages, and buildings in his wake, Gojira marches toward Tokyo, bringing all of the country’s worst nightmares back. Uncut and uncensored, this is GODZILLA in its original Japanese version. uggs on sale KING KONG (1933) – 5/16 & 5/17 The original and still the best! On a mysterious and dangerous island, a film producer captures a giant ape and brings him back to New York in the hopes of capitalizing on his prize. But the imprisoned ape, known as Kong, has the hots for screen beauty Fay Wray and escapes in pursuit of her. Before his famous and tragic fall from the Empire State Building, he wreaks havoc on the city. A classic beauty and the beast story that features some of the finest stop-motion effects ever filmed, KING KONG was recently selected as one of the top 50 American films of all time by the prestigious American Film Institute and inducted into the Library of Congress National Film Registry. CLOVERFIELD (2008) – 5/23 & 5/24 J.J. Abrams teams with writer Drew Goddard and director Matt Reeves for this frenetic tale of a powerful destructive force that descends upon New York City. asics pink In the middle of a going-away party, the entire New York City skyline goes dark. ugg bailey bow for sale Racing to the rooftop to get a better look at the situation, the partygoers are terrified to witness a massive explosion that rains debris across Manhattan, causing mass chaos and unparalleled destruction. nike air max command But the worst is yet to come, because it soon becomes apparent that this is not an act of terrorism but the work of a massive creature beyond human comprehension. TREMORS (1990) – 5/30 & 5/31 A loving tribute to 1950s low-budget sci-fi-horror films like THEM! and IT CAME FROM OUTER SPACE, TREMORS stars Kevin Bacon and Fred Ward as handymen in small dessert community who stumble upon some strange phenomena and mysterious deaths. Eventually, they and a handful of their neighbors find the cause: gigantic prehistoric worm-like creatures that streak under the desert the way fish swim through oceans, reaching up and grabbing anything they need for food. Cut off from the outside world, they must figure out how to get across the desert alive. Cult favorites return to the big screen every Friday and Saturday night, exclusively at the Angelika Dallas and Angelika at Mosaic. Nike Air Max 90 Baskets Tickets are just $7, on sale now at angelikafilmcenter.com Godzilla(R), Gojira and the character design are trademarks of Toho Co., Ltd. (C)1954 Toho Co., Ltd. Friend of the Angelika Blog Mark Walters recently sat down with director Bennett Miller (MONEYBALL, CAPOTE) to discuss his electrifying new film FOXCATCHER, starring Steve Carell, Mark Ruffalo, and Channing Tatum. Check out the interview below for insight into the casting the film, the extensive makeup for Carell’s dramatic transformation, and how the actor never broke character while filming on set. A searing true-life account of three men grappling with the American Dream. FOXCATCHER tells the dark and fascinating story of the unlikely and ultimately tragic relationship between an eccentric multi-millionaire John du Pont and Olympic Gold Medal-winning wrestler Mark Schultz. The wrestler seizes an opportunity to train for the 1988 Seoul Olympics at du Pont’s lavish country estate, but du Pont’s mercurial personality and psychological gameplay begins to weigh heavily on Mark’s shaky self-esteem, undermining his abilities on the mat. FOXCATCHER opens Wednesday 11/26 at the Angelika Dallas. Also playing at the Angelika at Mosaic. Get weekly movie listings, exclusive programs & events, special promotions, and more - delivered right to your inbox!